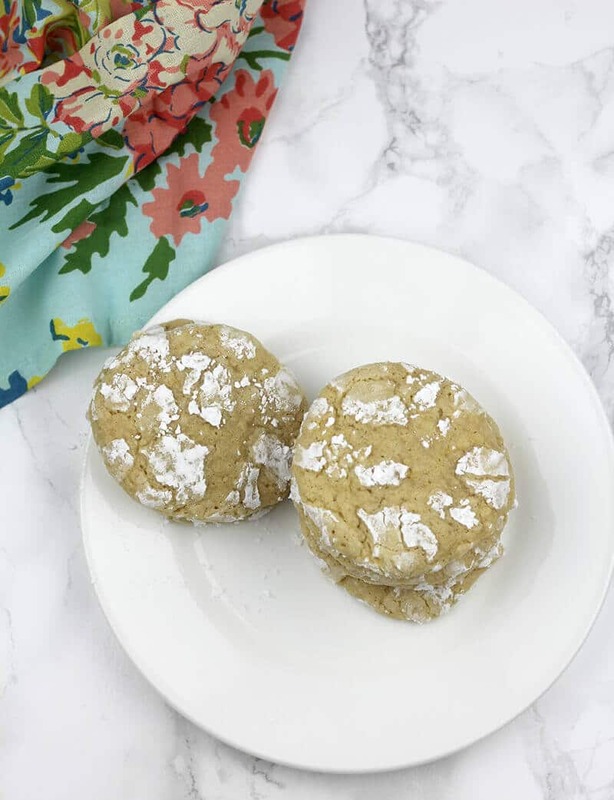 Lemon Crinkle Cookies made with fresh lemon zest and juice and a nice addition of brown sugar–these are soft and chewy and full of fresh lemon flavor! When I first saw these cookies in the Best Ever Christmas Cookies magazine from America’s Test Kitchen, I knew I had to try them. Chocolate crinkle cookies are one of my absolute favorites, and these lemon cookies promised to deliver full-on lemon flavor with fresh lemon juice and zest. 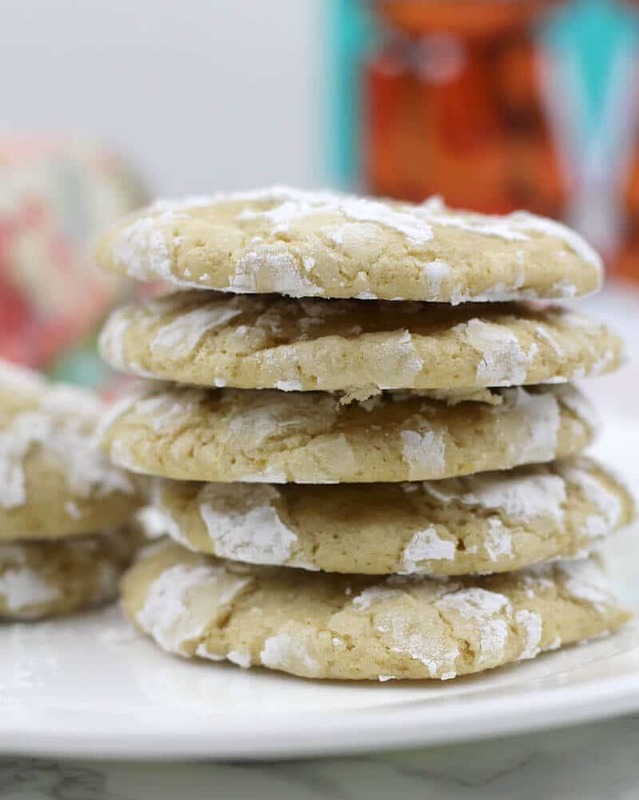 Although these cookies look like the cake mix lemon crinkle cookies, these are so much better! I have nothing against cookies made from a cake mix—in fact, I have a chocolate chip cake mix cookie recipe on this website and I love it! Cake mix cookies are easy to make and perfect when you need cookies fast. But I do think that cookies made from scratch taste the best, so unless I’m pressed for time I usually make homemade cookies. Of course, I also usually keep some of the break-and-bake cookies in my fridge for cookie emergencies! I tweaked the ATK recipe a little by adding additional zest and juice, as well as a little more flour. And I swapped in brown sugar for the white sugar to add a little chewiness and more flavor, so these aren’t the bright yellow cookies that were in the magazine. But the taste is amazing! I also used almond extract instead of vanilla just to give the cookies a slightly nutty flavor to complement the brown sugar. 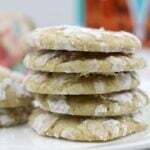 The resulting cookies were a little chewy and soft, with a whole lot of zesty lemon taste and subtle brown sugar flavor. 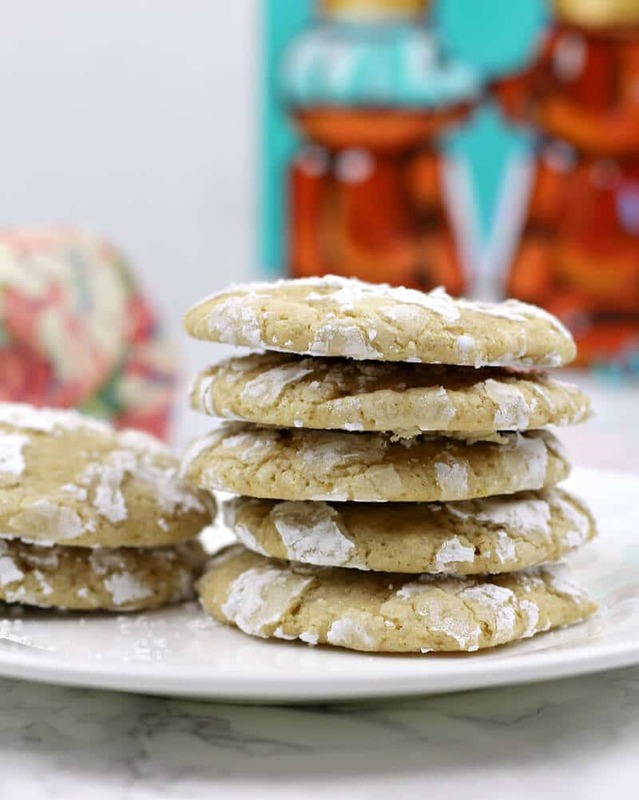 My family loves these cookies and I hope yours will too! Lemon Crinkle Cookies made with fresh lemon zest and juice and a nice addition of brown sugar--these are chewy and full of fresh lemon flavor! Whisk flour, baking powder, salt, and lemon zest in a bowl. In bowl of stand mixer, cream butter until light and fluffy. Add oil and cream together until well mixed. Add brown sugar and mix well. Add egg and egg yolk and mix for about 1 minute. Add almond extract and lemon juice. Add flour mixture and mix until just blended. Cover bowl with plastic wrap and place dough in refrigerator for one hour. Preheat oven to 350. Line two baking sheets with parchment paper. Place confectioner’s sugar in a small bowl. Scoop 1 1/2 tablespoons dough and roll into balls, then roll in the confectioner’s sugar to coat. Place balls 2 inches apart on prepared baking sheets. Bake until cracked and set on top but visibly moist, 10-12 minutes, rotating sheet halfway through baking. Allow cookies to cool on baking sheet for 5 minutes then transfer to wire rack to cool completely. These cookies are best eaten within 1-2 days.